Our Higher Education team consists of the Head of Sixth Form, Assistant Head of Sixth Form and Head of Futures, who lead and support the Sixth Form Tutors. We offer detailed guidance and advice to our students, assisting them with their research into suitable academic and career opportunities. University course searches are enabled through the excellent services of UCAS, Which? and Unifrog. Sixth Form Tutors meet annually to review the changes within the Higher Education and employment sectors. Appropriate training is given to staff joining the team which allows them to assist effectively with personal statements, references, choice of university and course or apprenticeship or gap year applications. Whilst universities remain the most popular route after Burgess Hill Girls, we are very keen for our students to explore School Leaver Programmes and apprenticeships. In the last year, members of our Upper Sixth have joined prestigious firms such as GSK and KPMG. We recognise the importance of gaining work experience whilst studying and will continue to promote schemes where firms assist with the financing of university courses. Vocational extra-curricular clubs – LawSoc, MedSoc and VetSoc – provide specific support and insight into the professions and offer leadership opportunities for interested Sixth Formers. Whilst most Burgess Hill Girls apply to university, our Sixth Form team is very keen for students to consider all post-16 options, exploring school leaver programmes and apprenticeships. In recent years, this has led to Upper Sixth students joining prestigious organisations such as GSK and KPMG. Information is also readily available on relevant undergraduate scholarships, for instance the Institute of Mechanical Engineers. 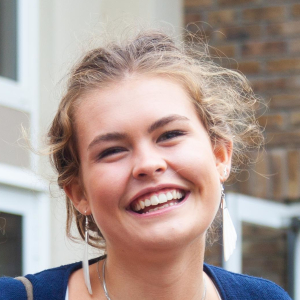 Students are kept informed with open day and university taster course opportunities and are actively encouraged to spend part of the summer holidays in the Lower Sixth, or earlier if possible, involved in activities and work experience which will enhance any applications they will make in their second year. The Networking Dinner provides an excellent opportunity for the Lower Sixth to meet and network in a semi-formal context with professionals in fields which closely match the expressed interests of the students. Our assistance with personal statements and references is second-to-none and our help often lasts beyond the Sixth Form. As a relatively small and close-knit community, we are able to dedicate a significant amount of time per student to very specific and personally tailored Higher Education support. We have strong links with local, national and international organisations. A partnership with British Airways and the work experience carried out with the Army and Ricardo in Shoreham are recent examples of this in practice. Thinking about not going to university?